Create a safe, fun environment for children who want to help in the kitchen with the Guidecraft Kitchen Helper. Available in several great styles, the Kitchen Helper is lightweight and easy to move, fold and store. 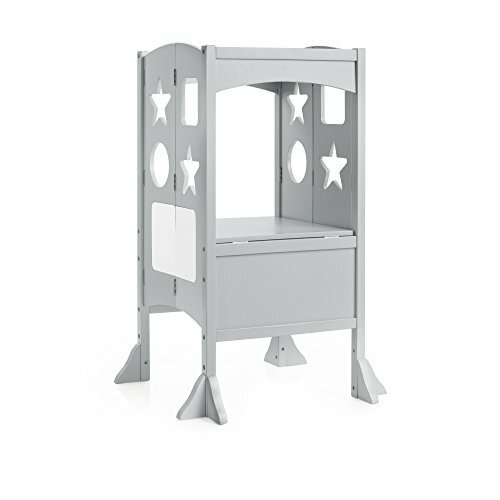 The Kitchen Helper safely and securely elevates children to countertop height. Easily adjusts to three platform heights. Features fun cutouts, wipe off marker board and chalkboard. Adult assembly required. Safely supports up to 125 lbs. Ages 2+. 20″L x 21″W x 37″H.